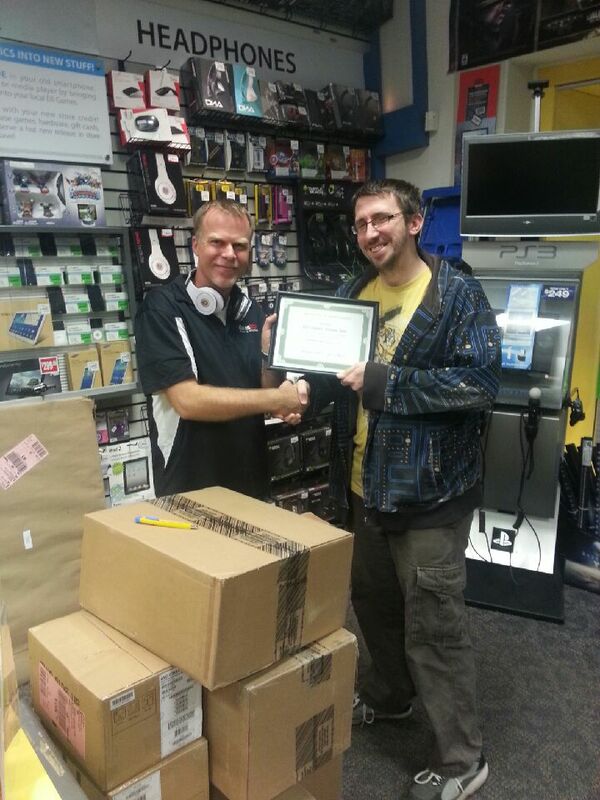 Darren Morrell presenting a certificate of Acknowledgement to the great people at EB Games. 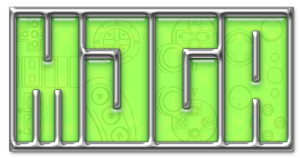 We always acknowledge our sponsors, but this one was a long time coming. Due to schedule conflicts we have been unable to present our Certificate of Acknowledgment to EB Games in the Town’n’ Country Mall before now. 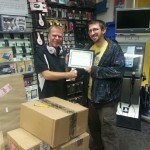 EB Games provided us with some great prizes for the January 2013 Wintereenmas celebration. Through their generosity and support, we were able to make a good event into a great one!